This is the Guardian I am surrounded with these.. These things! I need backup...Do you copy? Do you copy!? F/%¤!..No answer!...Well...Bring it on M*%#! F**&¤! Hope you liked! I wanted some RE style pic with knux on it! Mobian Evil 8? 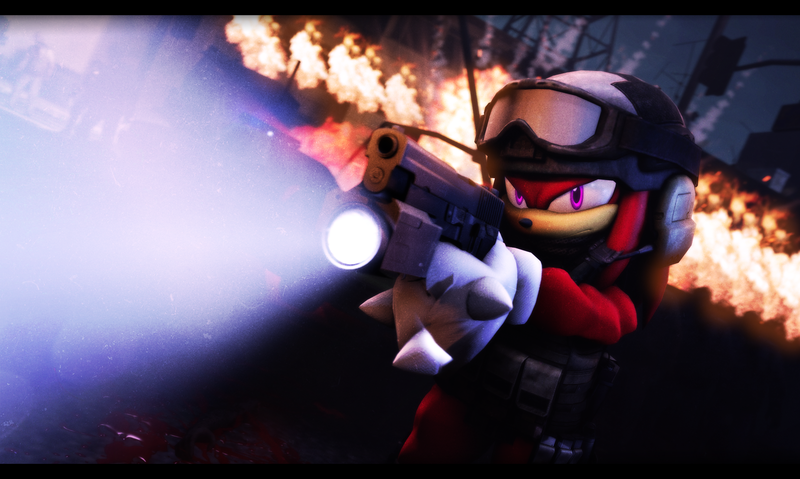 :3 Starring Knuckles Redfield?